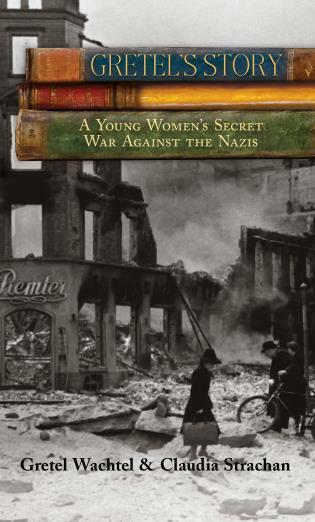 The spellbinding account of the life of a young woman in Hamburg during the Second World War. Gretel Wachtel bore witness to the disappearance of her best friend during Kristallnacht, the infamous night of atrocities against the Jewish population in 1938, and during the war she endured the constant bombing of her beloved Hamburg by the Allies, surviving the firestorm caused by Operation Gomorrah. An unguarded anti-Nazi comment resulted in her being forced to work in an ammunition factory, but she didn't lose her desire to fight the totalitarian regime. She married a resistance fighter, helped the local priest to protect fugitives hunted by the Gestapo and hid her Jewish doctor in the cellar of her house. Called up to serve as a typist in the Wehrmacht, Gretel allied herself with the resistance, passing on secrets learned from her work sending and receiving messages via the Enigma encryption machine. Finally arrested by the Gestapo in 1945 and taken to an internment camp, she was liberated as the British Army advanced towards Hamburg. Before the war, she was a fun-loving girl who enjoyed a good time… She was an ordinary person thrust into extraordinary circumstances. Her wartime experiences are nothing short of astonishing. Gretel Wachtel was born in Germany in 1915 and was twenty-four years old when the Second World War began. She moved to England in 1945, where she remained until her death in 2005. Claudia Strachan was born in Germany and in 1993 she moved to England, where she met Gretel. She spent the next nine years researching Gretel’s story.